"Game of Thrones" has certainly had its fair share of battle sequences, but this last season will feature not only the biggest consecutive battle sequence in "GOT" - but in film history. According to Entertainment Weekly, the Battle of Winterfell is the most epic battle ever filmed, with 11 weeks of shooting and up to 750 cast and crew members. Director Miguel Sapochnik said he tried to find a longer battle sequence in film, but could only find a close second at 40-minutes in "The Lord of the Rings: The Two Towers.” This battle will most likely take up the the entirety of one episode, which is rumored to be 90-minutes long. This battle is the ultimate showdown between the Night King, his army, and the allies of Winterfell. This battle will feature the most actors from the series in one episode, including Ayra Stark (Maisie Williams) in her first battle. So far we know that Tyrion Lannister (Peter Dinklage), Daenerys Targaryen (Emilia Clarke), Jon Snow (Kit Harington), Sansa Stark (Sophie Turner), Davos (Liam Cunningham), Jorah Mormont (Iain Glen), The Hound (Rory McCann), Samwell Tarly (John Bradley), and Brienne of Tarth (Gwendoline Christie) will all be involved in the battle alongside Ayra. Assistant director Jonathon Quinlan posted a thank you note from the producers almost a year ago, thanking the actors for enduring the filming process for the battle. The note says, “When tens of millions of people around the world watch this episode a year from now, they won’t know how hard you worked. They won’t care how tired you were or how tough it was to do your job in sub-freezing temperatures. They’ll just understand they’re watching something that’s never been done before. And that’s because of you." There is no mentioning of when this specific episode will air. As cool as all of this sounds, if this is the biggest battle with the most people, there will likely be a slaughtering afoot. We may have to accept that the deaths of many of our favorites will not only be upon us...but possibly in this one episode alone. Jeez. 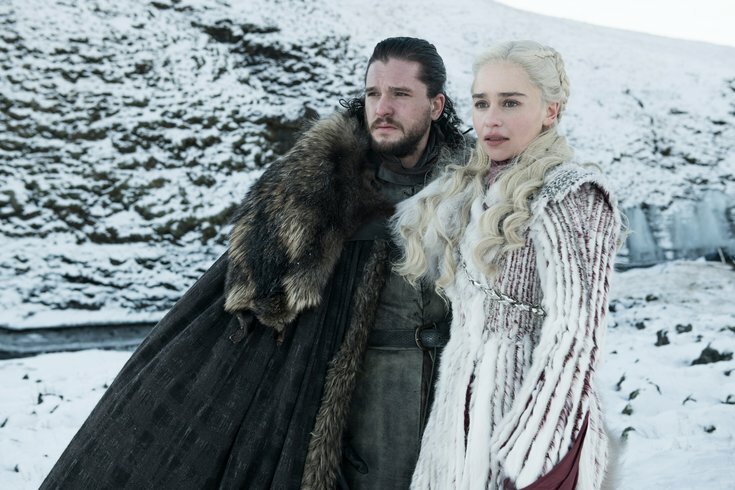 "Game of Thrones" Season 8 will premiere on April 14.